The CONSORT Bruny Island Battery Trial has been awarded Energy Project of the Year by the Electric Energy Society of Australia (EESA). 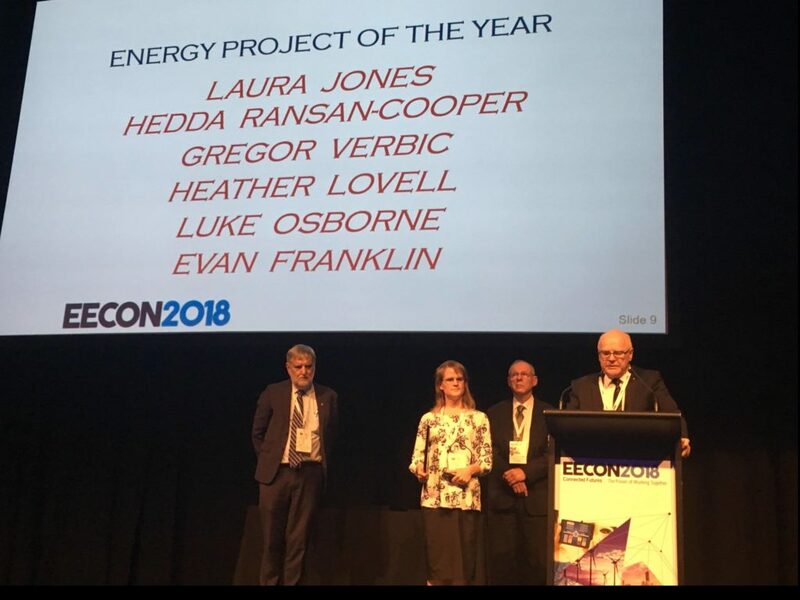 The award was presented at EECON 2018, in Brisbane. It recognises a project within the energy sector that has delivered significant benefits to stakeholders and the wider community while being managed and executed with a high level of excellence. The Energy Project of the Year award is accepted by Laura Jones, of TasNetworks.